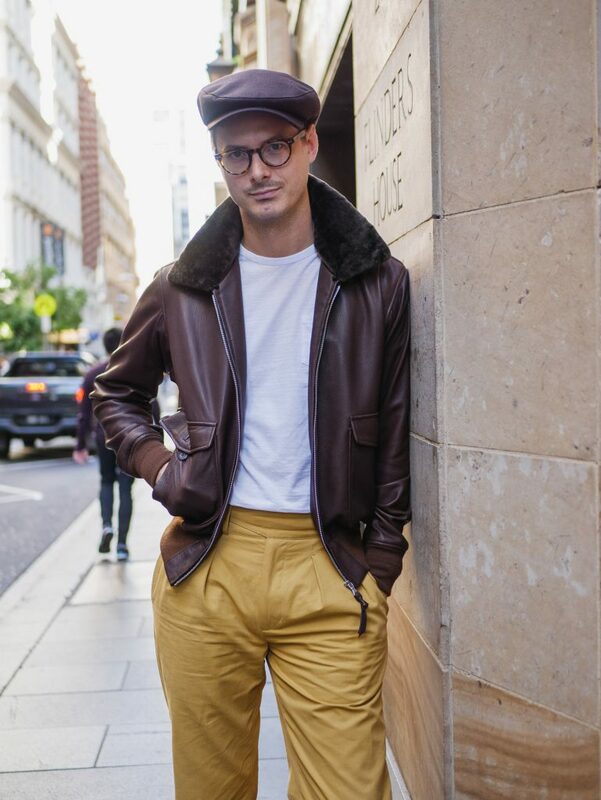 Autumn has finally arrived in Sydney. And just like every other year, it’s bloody unpredictable. Realistically we’re all limited by financial resources and closet space. So I think it makes sense to invest in clothes that are both durable and versatile. Like we recently explored, military jackets are some of the most durable and versatile garments around. Rugged but elegant, they’ll keep you warm (and looking cool) no matter the weather. 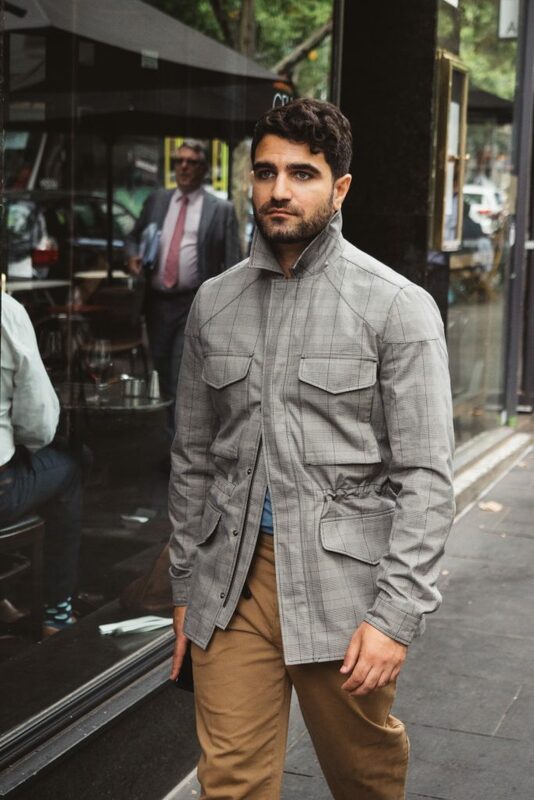 So without further adieu, here are the best military jackets in Australia. 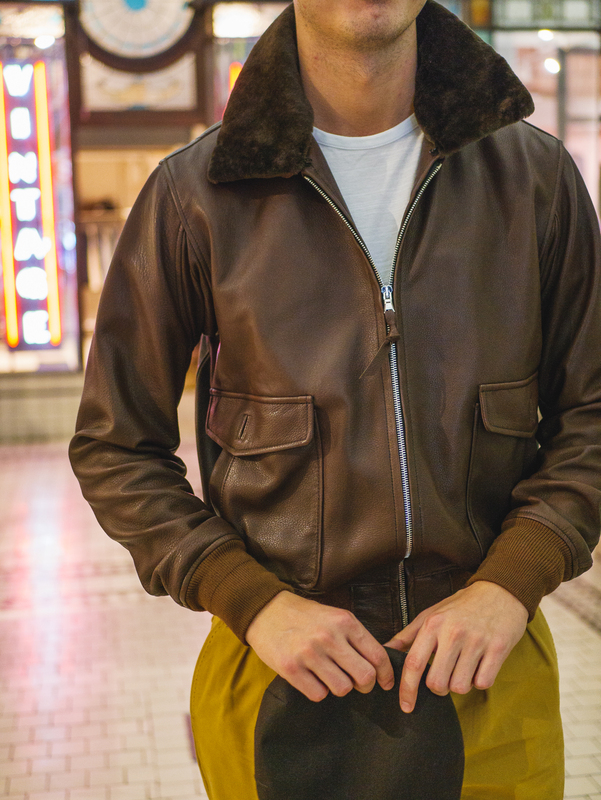 The G-1 flight jacket was developed during the 1930s, but it was only during WW2 and the Korean War that it really began to take off. The original design featured a bi-swing back and underarm gussets for mobility, button down flap pockets for easy storage, and a fur lined collar for warmth. 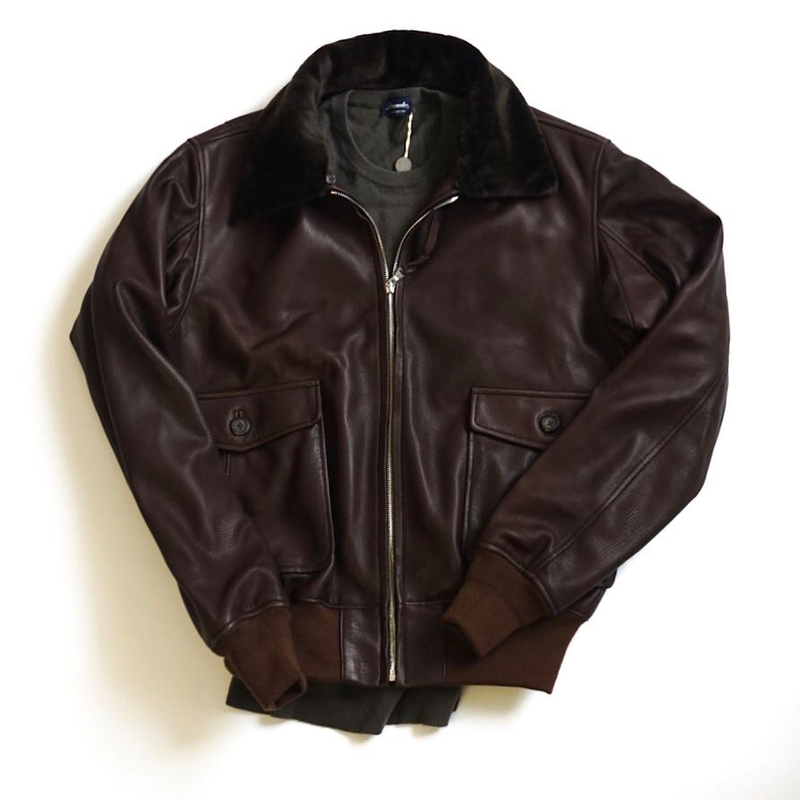 Due to the lack of internal heating in aircraft, the military made jackets out of leather (either goatskin or cowhide) due to its insulative and wind-resistant qualities. A bi-swing back and underarm gussets for mobility. Today, the G-1 remains uniform-issue for elite aviation personnel in the US Navy, Marine Corps and Coast Guard. Jackets with patches are sometimes referred to as “Top Gun Jackets”, after the eponymous film starring Tom Cruise. Despite its timeless design, rocking an original can look costumey (Especially if the only warfare you’ve ever engaged in is over Xbox Live). 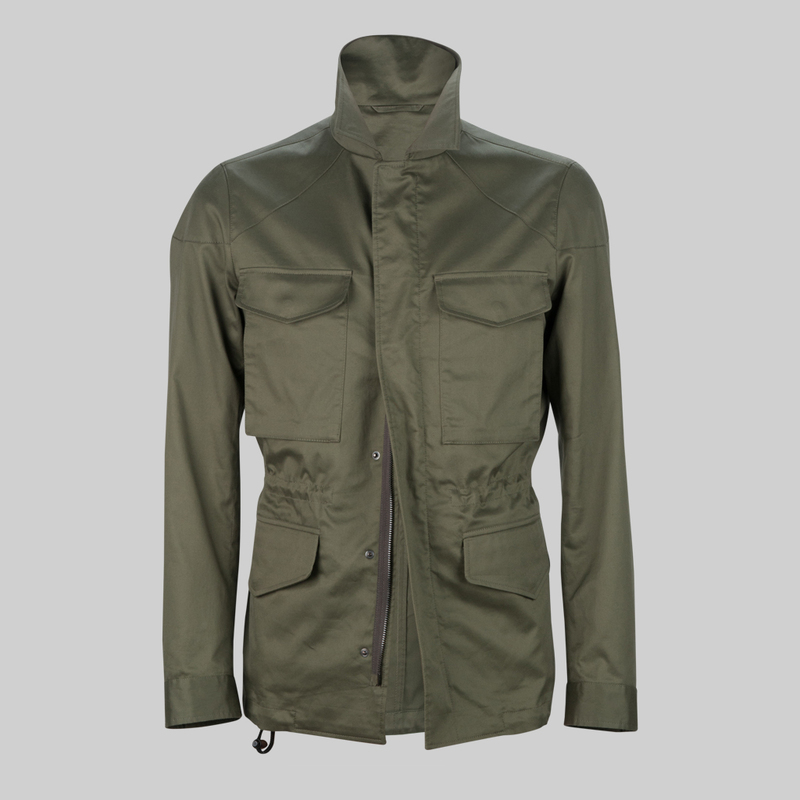 The jacket features streamlined flap pockets and sleeves. 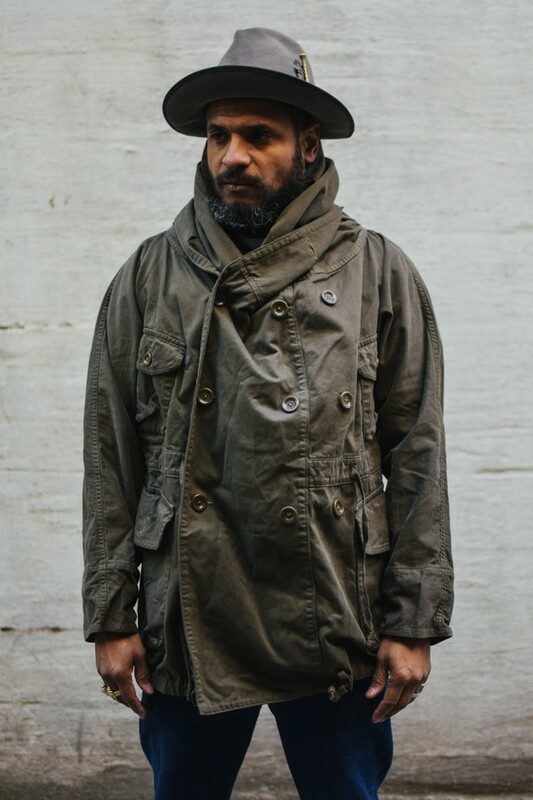 The M-65, is perhaps the most (in)famous style from the M-Series of field jackets. Designed to replace the M-51, the M-65 saw action during the Vietnam war where it came to symbolise American G.Is. 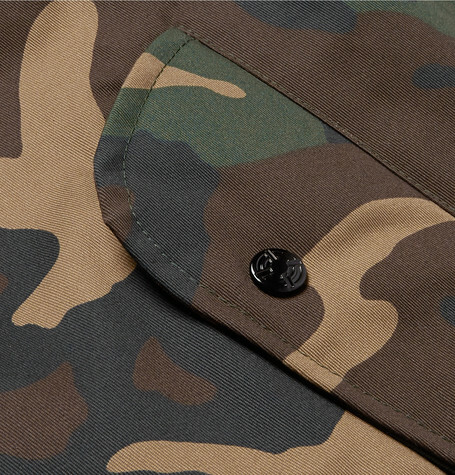 Given its heritage, the M-65 is one tough mofo. 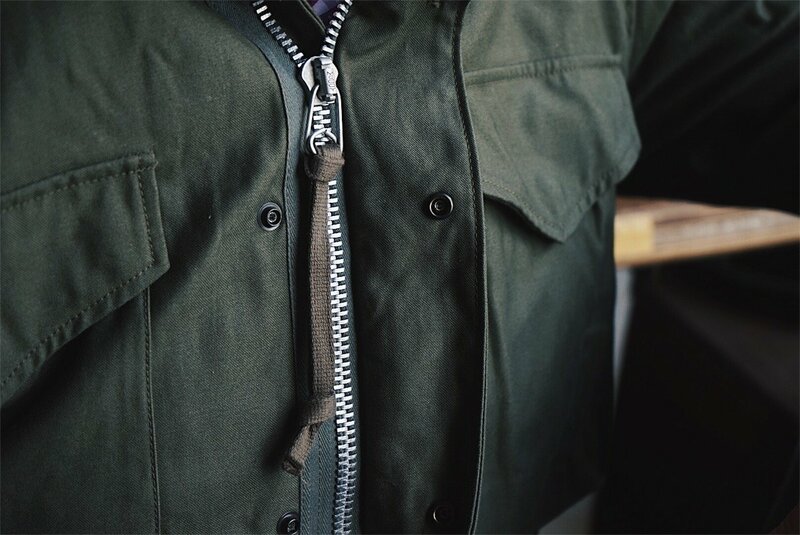 Intended for combat it featured details like a stow-away hood, snap flat cargo pockets, and an adjustable draw string around the waist. The M-65 was incredibly versatile. Angular details such as an upright collar and cargo pockets, combined with a relaxed fit made it exceptional as outerwear. 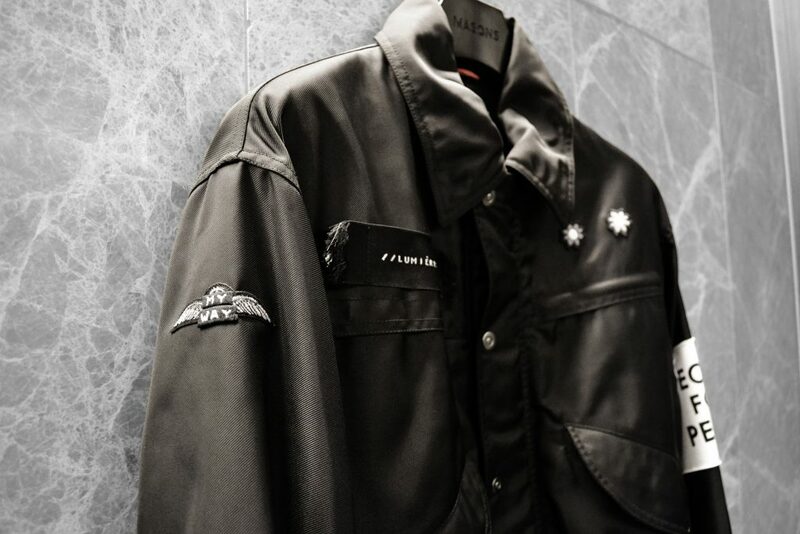 Anti-war protestors and intellectuals alike flocked to the jacket, wearing it over a t-shirt or tailoring. Though the original remains popular, Christian Kimber’s version is far more suitable for the concrete jungle. Christian’s jacket is slimmer, drawing inspiration from tailoring. 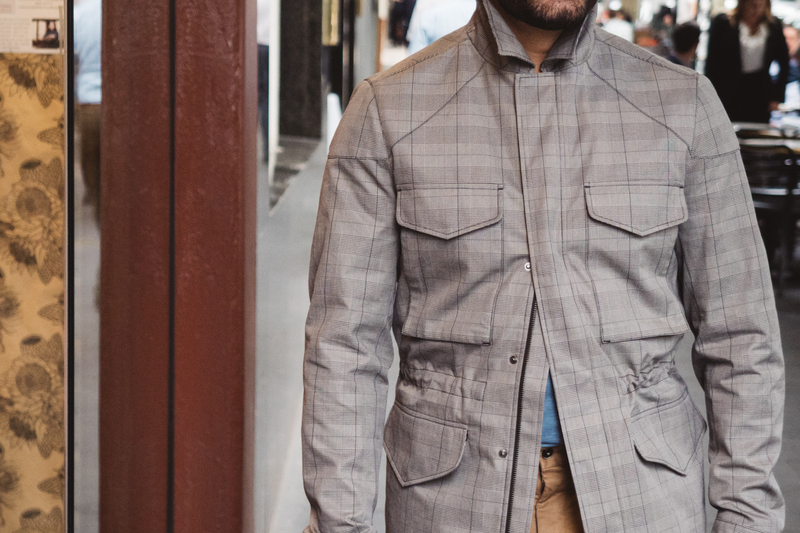 Higher armholes, a narrower shoulder, and a stand collar, bring a refined touch to the “Rambo” jacket as does an urbane Japanese cotton that updates the original heavy nylon/cotton sateen. 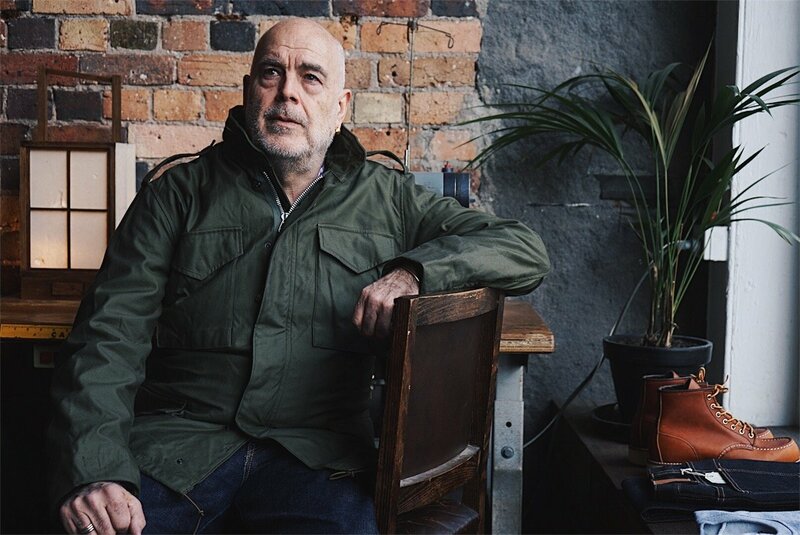 Christian modernises the M-65 with a slimmer silhouette and a technical Japanese cotton. But Christian has retained classic details such as the snap button and zip closures, cargo pockets, and draw-string waist as homages to the original. Meanwhile, heavy top stitching around the pocket flaps and buttoned epaulets add military ruggedness. After all, GIs never had to face anything as terrifying as Brunswick hipsters. Details like an adjustable drawstring create shape while also referencing the jacket’s storied past. Army green is also available for a more classic take. If authenticity is what you’re after, the Real McCoy’s M-65 is about as close to the original as you can get. 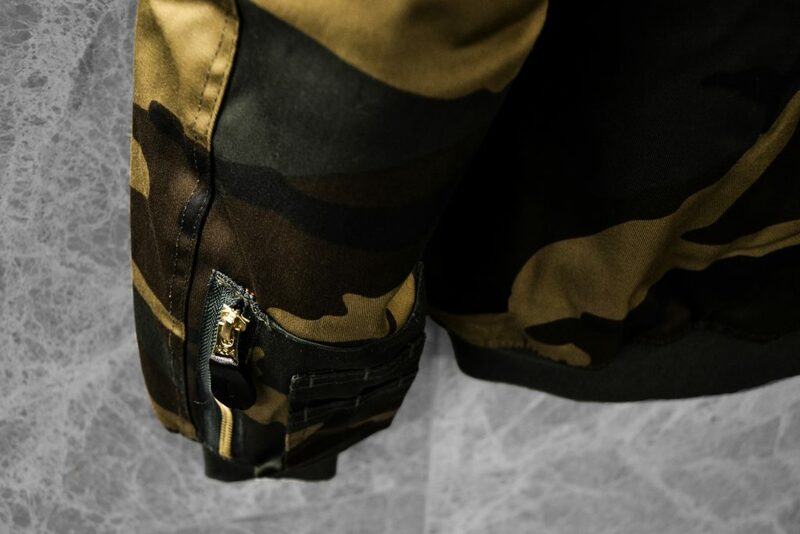 Constructed from deadstock hardware to military specifications, the attention to detail is so painstaking that it’s even manufactured using period accurate techniques and machinery. The shell is made of 100% cotton sateen, and the lining is a cotton-polyester blend which improves on the original. 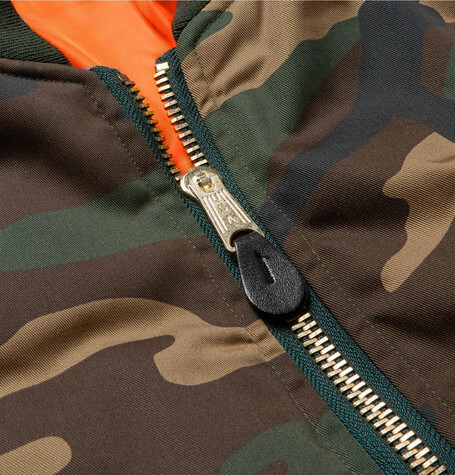 The zipper meanwhile features period accurate pulls and tabs ripped from deadstock. Unlike surplus, which has been compromised to accommodate rising labour costs, the Real McCoy’s have spared no expense. The M-65 was popularised by existential anti-heroes like Serpico and Travis Bickle. 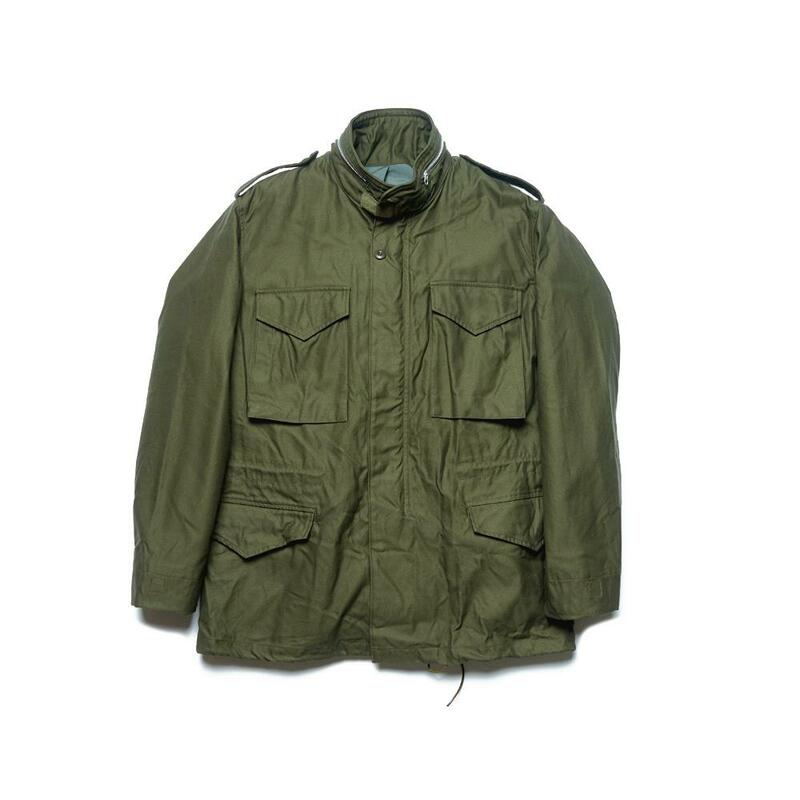 Today, the jacket is widely worn by civilians. The Real McCoy’s improve upon the original in every way. Here a cotton sateen replaces the original poly-cotton shell while retaining the fabric qualities that allow it to develop a distinctive patina. The McCoy’s iteration features period-accurate wire zipper pulls on a brass zipper. Kapital creates postmodern workwear using time honoured techniques. Originating from Kojima “The Denim Capital of Japan“, the Ring coat is the company’s most iconic design. 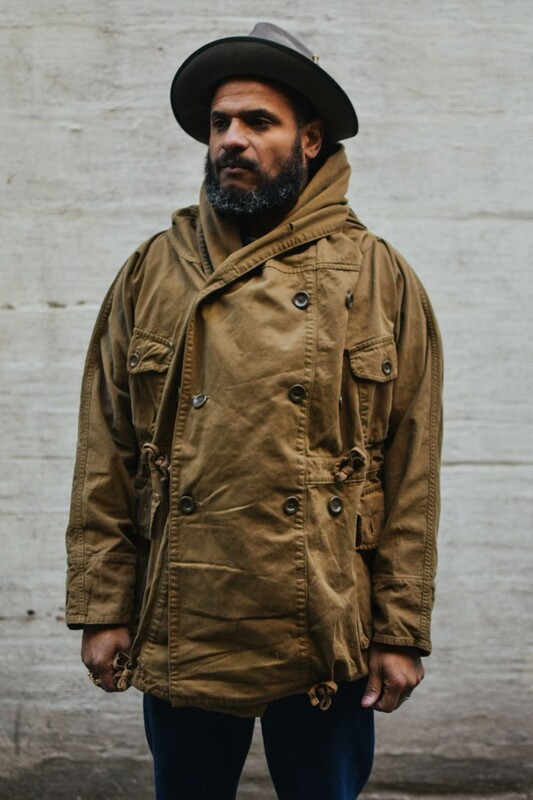 The coat is a mashup of different military jackets. The double breasted cut is inspired by peacoats, the silhouette by M-51 parkas, and the pockets by field jackets. A large button down-hood also doubles as a collar that references Japanese workwear with its noragi-like shape. The hood drapes like a noragi collar when left unfastened. 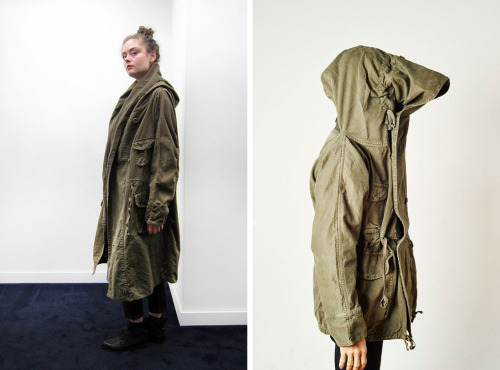 Despite its unusual appearance the coat is incredibly wearable. You can take in the oversized silhouette with drawstrings at the waist and hem, and the proportions can be changed with the buttons, ties and other fasteners that decorate the exterior. As a kicker, you can also use the snap buttons to extend the hem so that it resembles a pair of trousers. The coat comes in different fabrics each season, ranging from napped Japanese cotton, to 10 oz denim, and even Shetland lambswool. Kapital uses specialised washes in their factory in Mitsu, making every garment unique. 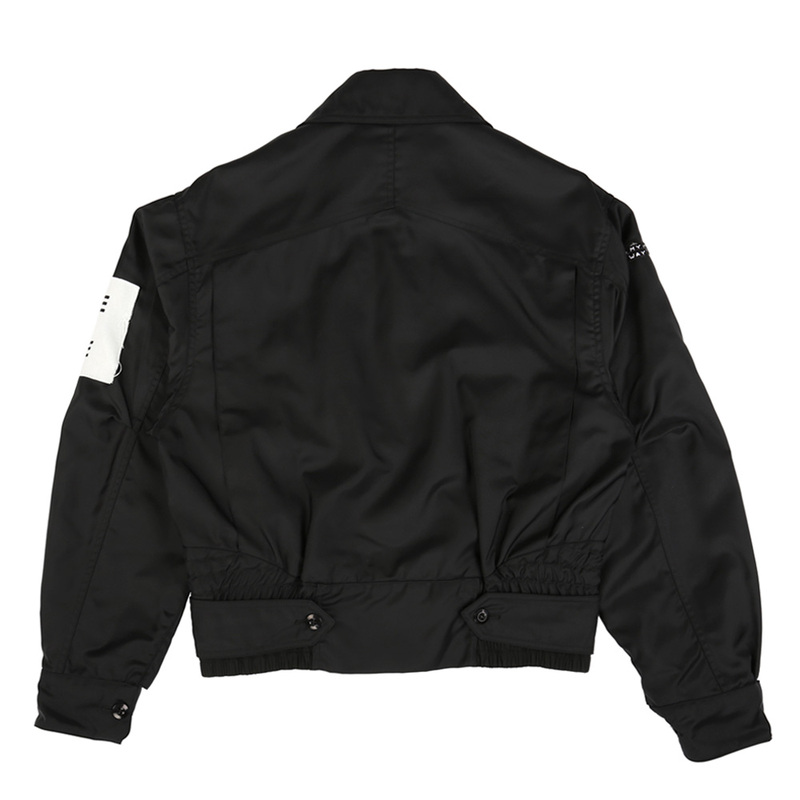 Designed by Matthew Williams, ALYX has produced an M-A1 bomber that combines street cred with artisanship. 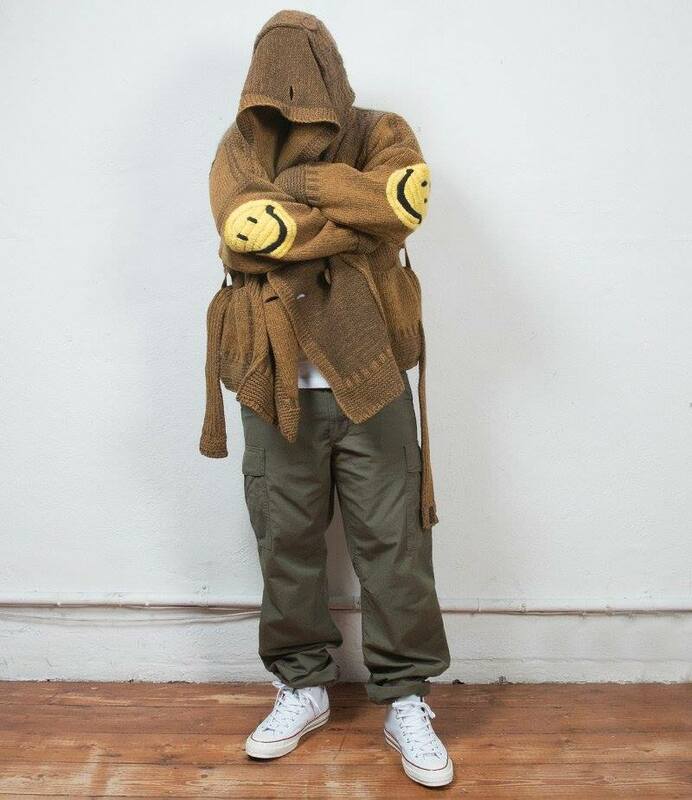 Williams distinguishes his iteration with an eye for textiles. 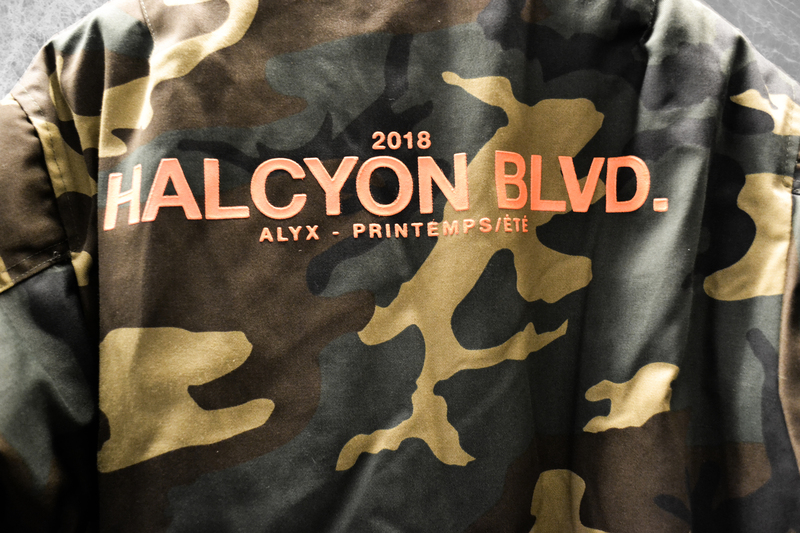 Unlike most reproductions, Williams’s reworking features a thin twill weave that adds depth to the camo print and orange “HALCYON BLVD” text bonded on the back. Gold toned hardware and a thickened zipper also amplify details ignored by other manufacturers. Williams draws inspiration from Raf Simons and Helmut Lang, in the way he remixes subcultural aesthetics with high-fashion. Unlike other versions there is also a healthy emphasis on fit. Williams has moved features like the traditional utility pocket on the left shoulder to the rear of the wrist, slimming the appearance of the sleeve. 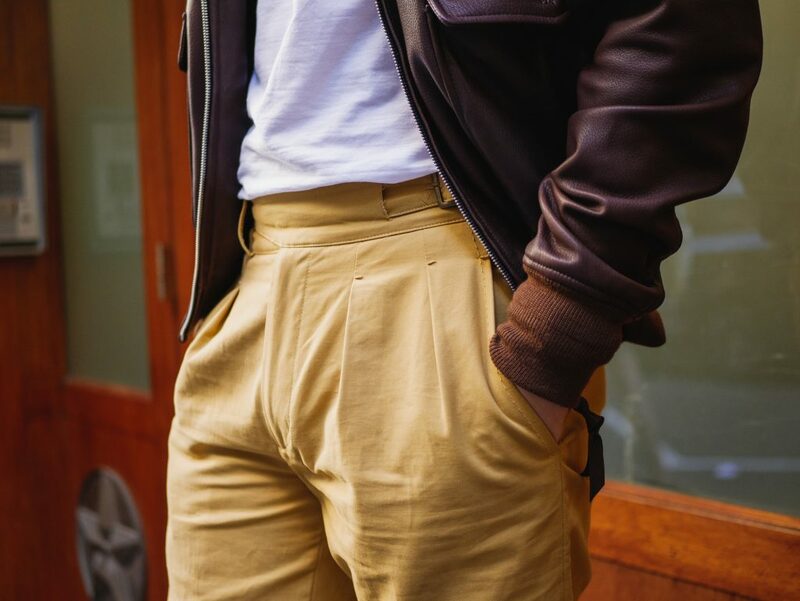 The flap pockets and storm flap have also been streamlined, and the lining thinned, creating a boxy silhouette that looks as good open as it does closed. Adding to this are an overhanging shoulder, extended hem, and darted back that give the jacket shape. By combining streetwear with technical fabrics, Williams has created a jacket that resonates with hypebeasts and connoisseurs alike. 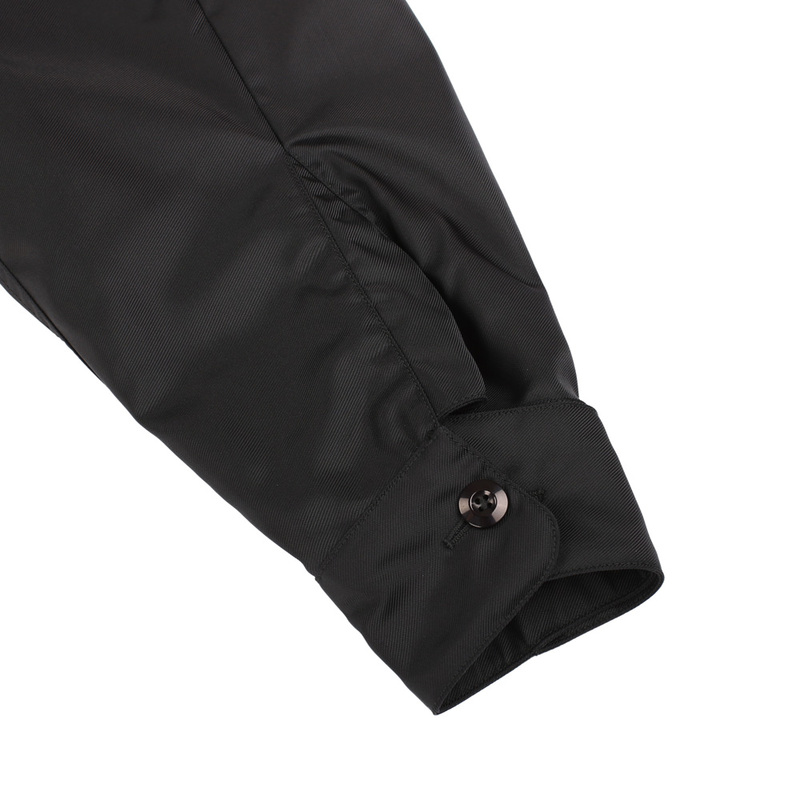 Williams has moved features like the traditional utility pocket on the left shoulder to the rear of the wrist, slimming the appearance of the sleeve. 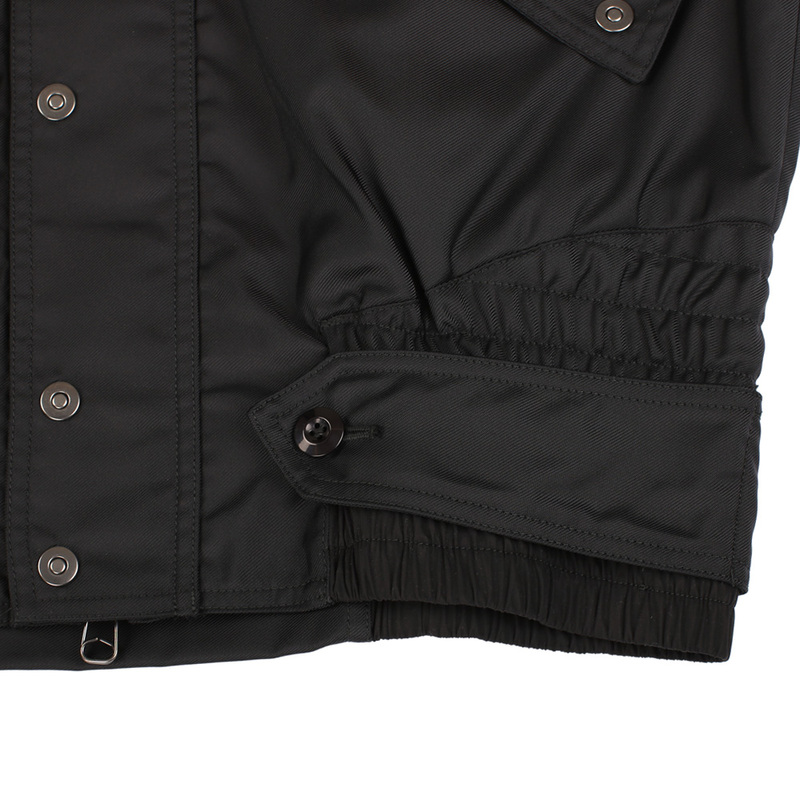 A fine matte nylon twill adds a touch of luxury to the jacket. Elevated streetwear is experiencing a moment and Luke Meier’s conceptual fashion label OAMC is no exception. 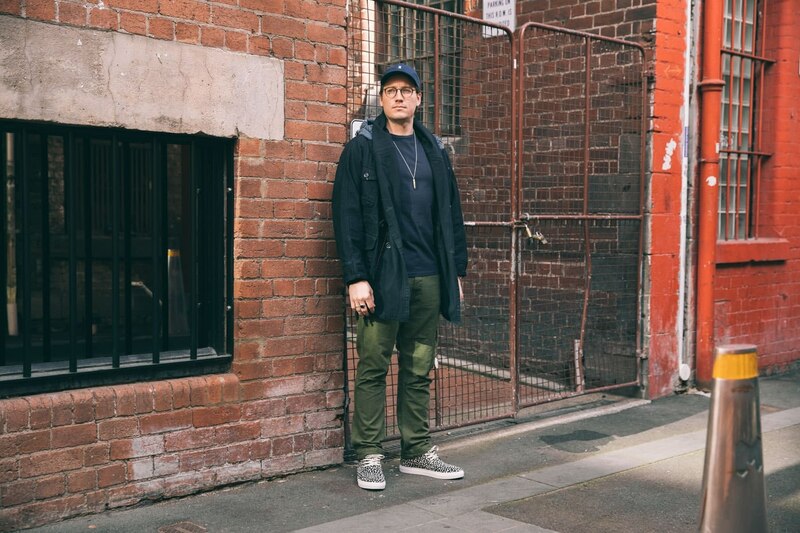 Meier, who spent more than a decade at Supreme, understands the value of authenticity and embodies it in his garments. His SS18 ‘One Always More Conscious’ collection explores the aesthetics of protest and the importance of conscientious objection, by repurposing military jackets and collegiate uniforms. 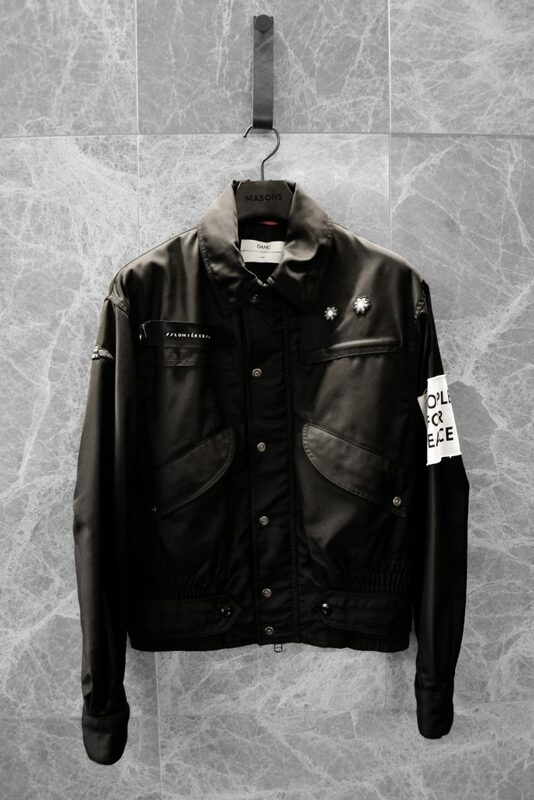 Appropriating beat-era iconography, Miere’s flight jacket serves as protestor uniform for the 21st century. 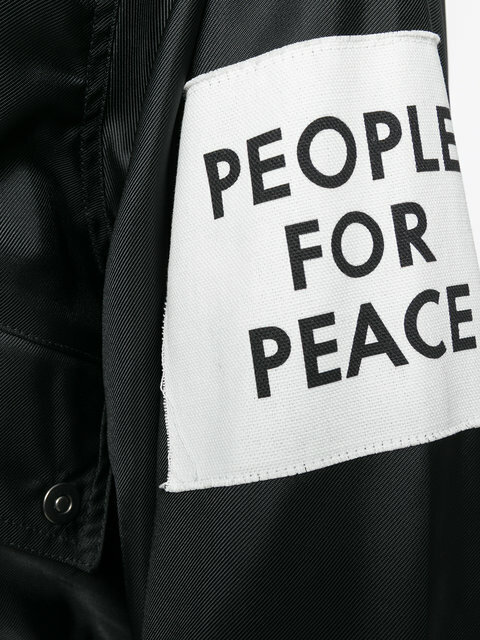 Miere notably features a “People for Peace” patch on the jacket’s left sleeve (referencing a jacket worn by John Lennon) which he contrasts with muscular uniform detailing and military inspired nylon gabardine. 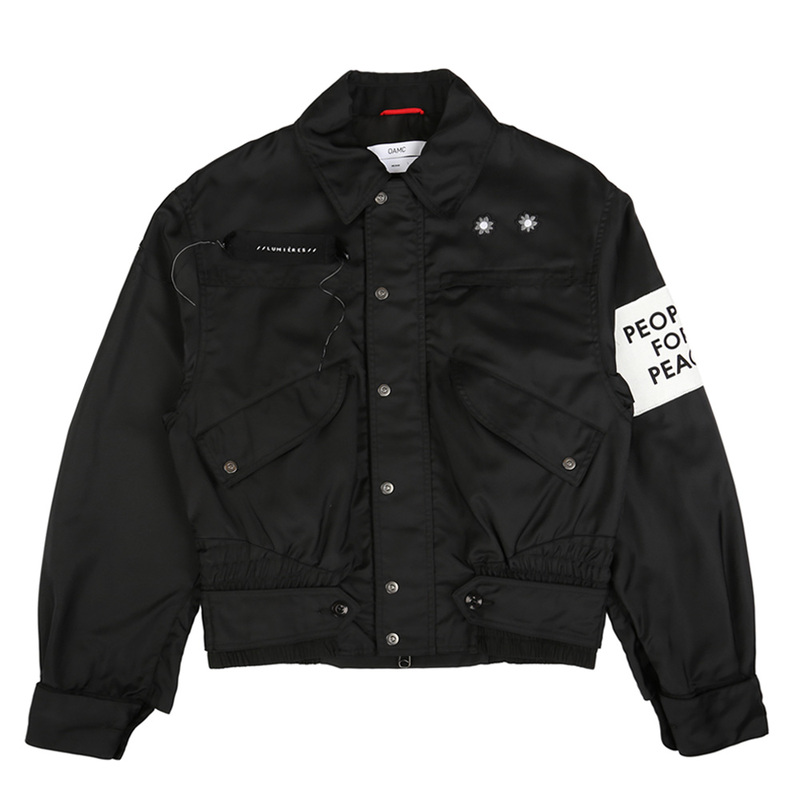 Other details that reflect Miere’s eye for appropriation include military patches and stars (resembling flowers) that reference 70s protester jackets. 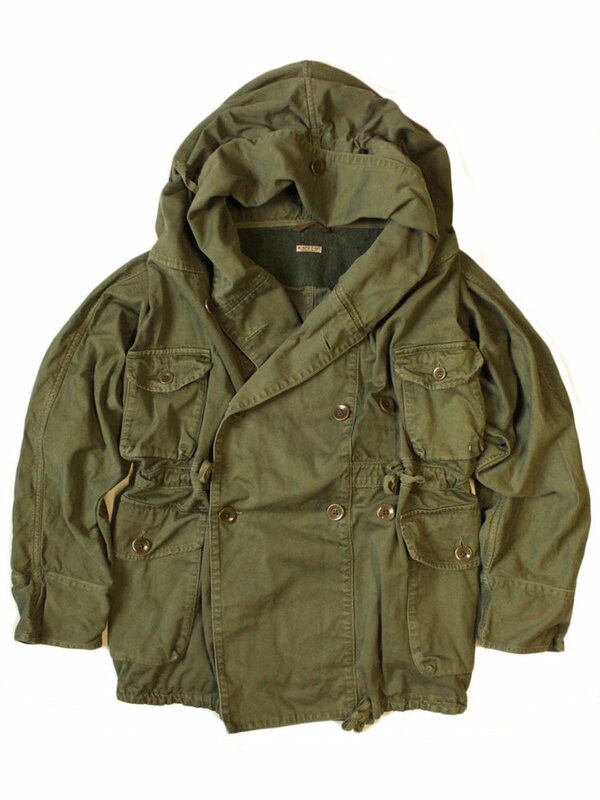 The jacket references clothing worn by anti-war protestors like John Lennon. 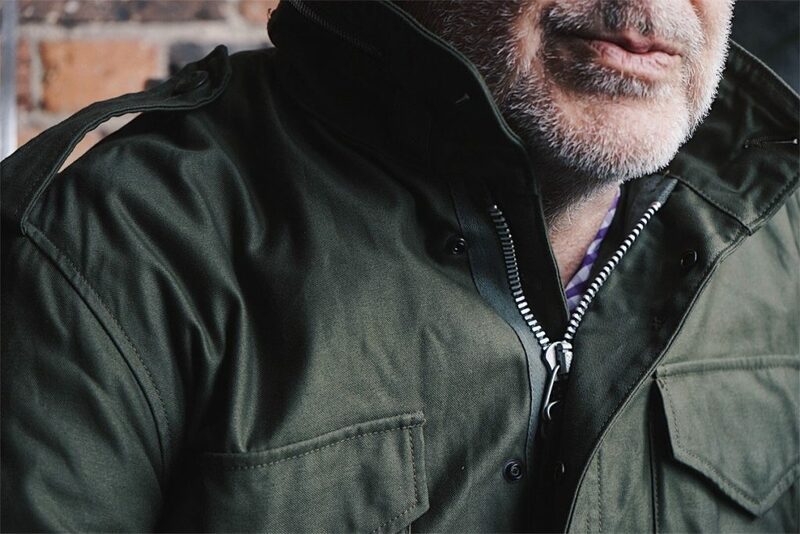 Details like thick barrel cuffs and a polyamide shell reference the jacket’s military origins. 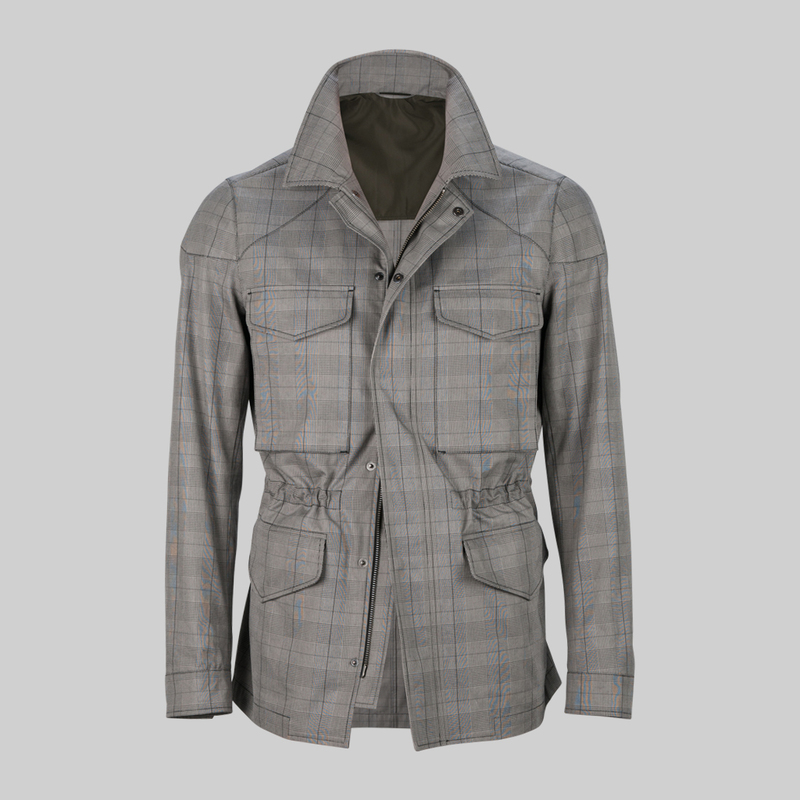 A pull tab in gun-metal grey recalls jackets like the M-65. The jacket has patches that reference those worn by veterans and war protestors alike. Here, Miere has attached an applique “Lumiere” patch in place of the name tape. 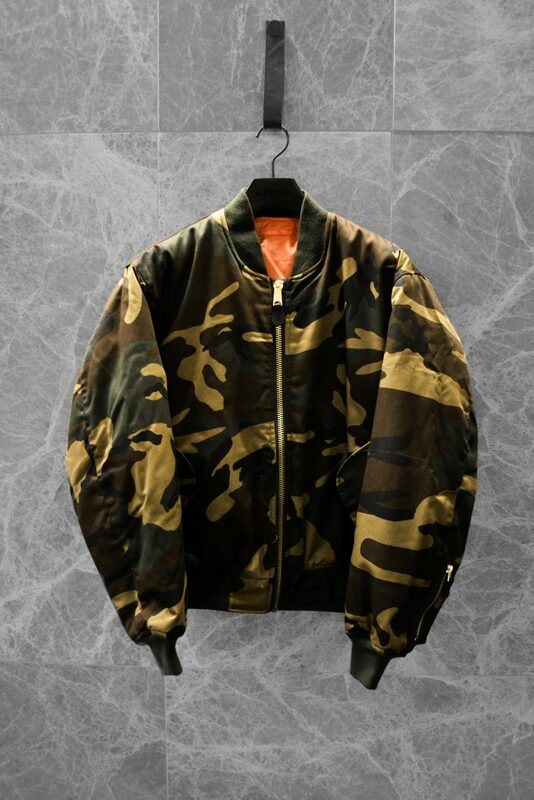 Meire also reconfigures the flight jacket by experimenting with its proportions. 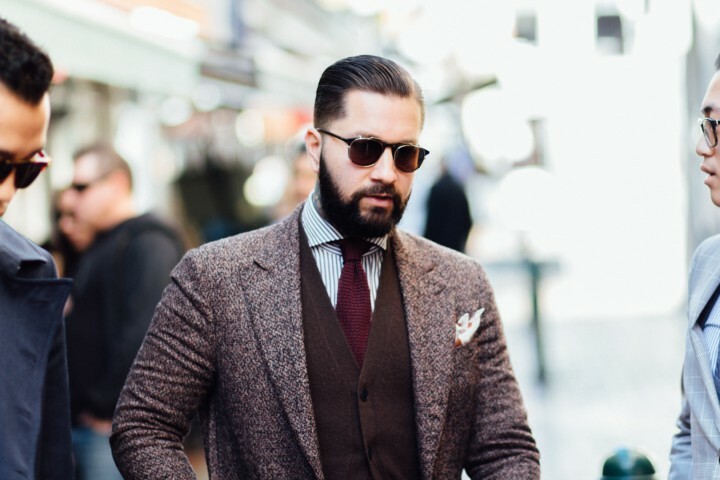 Trained as a tailor in Italy, he places the flap pockets just below the chest and extends the hem, creating a robust upper body. He also internally bonds the lightweight gabardine nylon to form a rigid “shell” around the wearer, creating an effect similar to suit canvas. 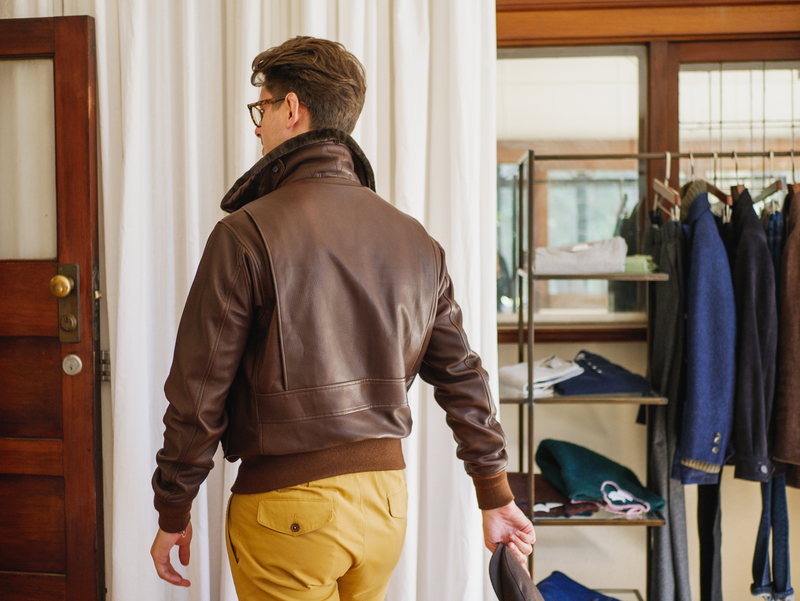 Miere’s jacket features hidden details like a zipper pocket at the left chest and a silk lining. The cut facilittates a large range of movement despite the thick nylon twill. The manufacturing standards are just as rigorous as the concept. 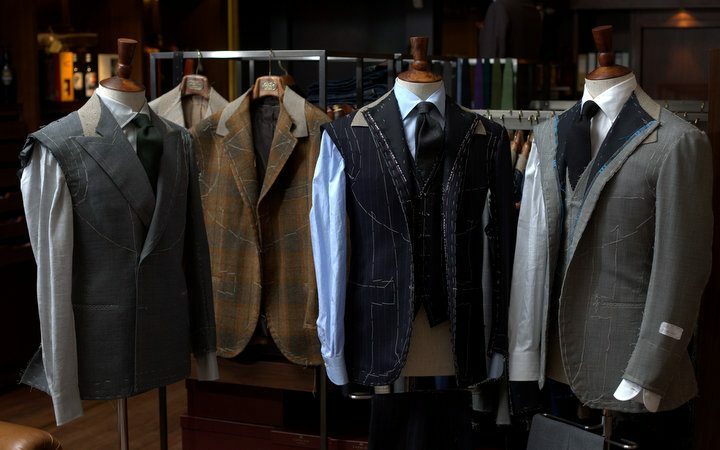 Miere designs in Paris, develops his clothing in Milan, and sources textiles from Japan and Portugal. Merging tradition and progress, war and peace, high and low culture, Miere’s jacket embodies the contradictions of contemporary society in its seams.